Azerbaijani film has been named the best at the 12th Lublin Film Festival in Poland. The jury decided to give the Grand Prix of Feature Films Competitions to the film "Pomegranate Orchard", Azertag reported. Previously, the film was successfully presented at film festivals in Bulgaria, Turkey, Iran, Germany, Belarus, Australia, Kazakhstan, the Czech Republic, the United States and other countries. In 2017, it was included in the long list of candidates for the Academy Award for Best Foreign Language Film. This year the film has been named the best at the third Didor International Film Festival in Tajikistan. "Pomegranate Orchard" film by national film-maker Ilgar Najaf was shot in 2007. 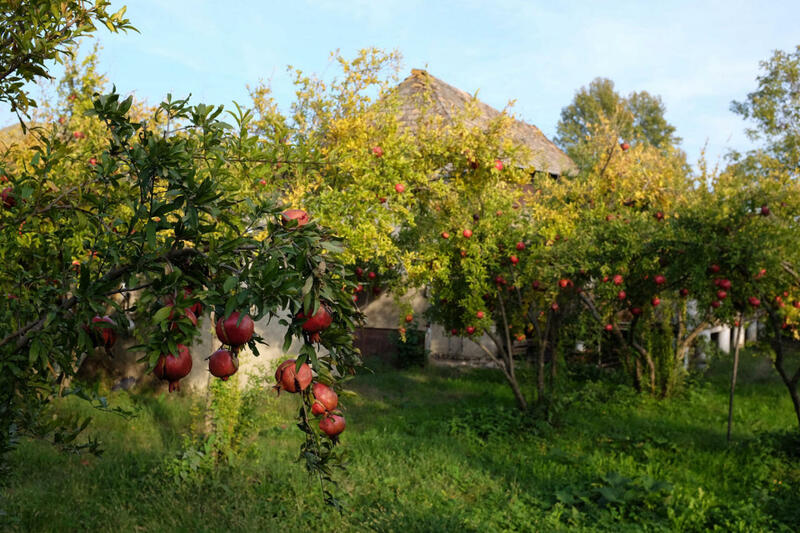 The film features a story about an old man, who lives along with his grandson and daughter-in-law in the decrepit house amidst of the huge pomegranate garden. Sudden comeback of his wayward son has changed a gentle rhythm of their peaceful existence. Forgotten bitter memories have come back and even more, new challenges are in store for them. Scriptwriters are Asif Rustamov, Ilgar Najafov and Roelof Jan Minneboo (The Netherlands). Operator-director is Aykhan Salar (Germany), animation director - Rafig Nasirov, executive producer - Akif Aliyev, and producer - Mushfig Hatamov. Lublin Film Festival, until 2016 known as the IFF Golden Anteaters, is one of the oldest international independent film festivals in Poland. The statuettes awarded to the festival’s winners bear the former name of the event to this day. The 12th Lublin Film Festival featured 8 full-length and 128 short-length films. The festival is rich in various workshops, concerts and other events as well as long talks with Polish and foreign guests who eagerly blend into the festival’s community and always highlight the LFF’s unique vibe. For years, we’ve been cultivating and developing our philosophy of cinema as a pretext for meeting, discussing views and getting to know each other.